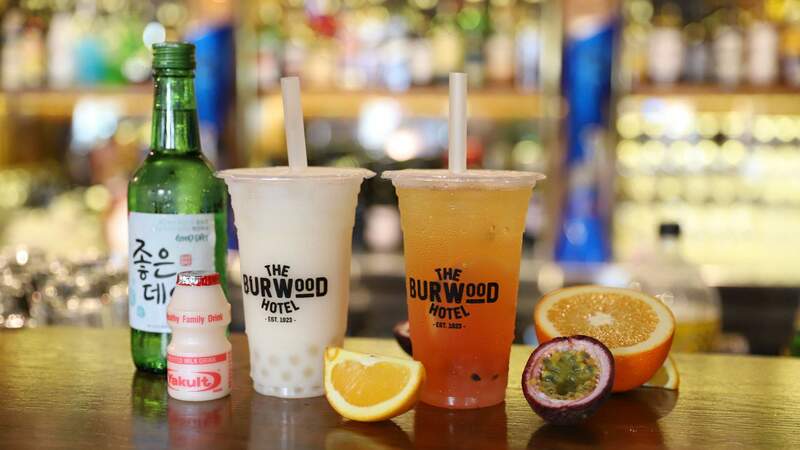 The Burwood Hotel is taking its pub eats and drinks to the next level this month, with the inner west stalwart now slinging alcoholic bubble tea. These 'boba' tea cocktails ($15) are served in the typical plastic takeaway cups for dine-in punters — and for takeaway. For those who prefer the milk tea-style, there's the Yakult Boba Soju, a concoction of Korean soju, the Japanese probiotic milk drink and lychee tapioca pearls. For a summertime refresher, there's the Tropical Boba Tea, which combines Aperol and passion fruit liqueur with Chinese green tea and a splash of vodka with lychee tapioca pearls, fresh passionfruit and a candied orange slice garnish. More flavours are on the horizon, too. 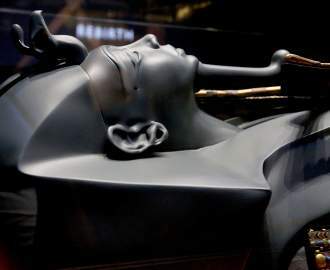 If you're keen to replace your morning cuppa with one of these, the bar even opens at 9am, and stays open until 5–6am on the weekends — which seems slightly unnecessarily, but it's there if you need it. The kitchen opens from 11am each day, with an extensive late-night menu on Thursday through Saturday nights from 10pm–3am. On it, there's plenty of classic pub grub, including three American-style burgers ($15 each), two cuts of steak ($16–$31), a schnitty ($15) and a parma ($16). The snacks, on the other hand, take their inspiration from across Asia. Expect Szechuan salt and pepper squid with nam jim sauce ($13–$25) and chicken wings in Korean chilli sauce ($7–$13), along with miso eggplant or barbecue duck spring rolls ($10-$11), Shanghai-style pork dumplings ($9) and prawn har gau ($9). 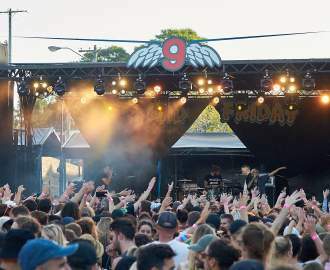 Plus, the rooftop bar is slinging tinnies every Friday (3–11pm) and Saturday (5–11pm) — though don't expect a craft range, with the focus on international big brands in a can.